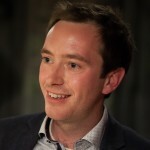 Home » Blog » General » How much do we respect our teachers? How much do we respect our teachers? People in the UK are more likely to think that unions have too little influence on pay and conditions (just over 40% of people), than too much (just under 30% of people). 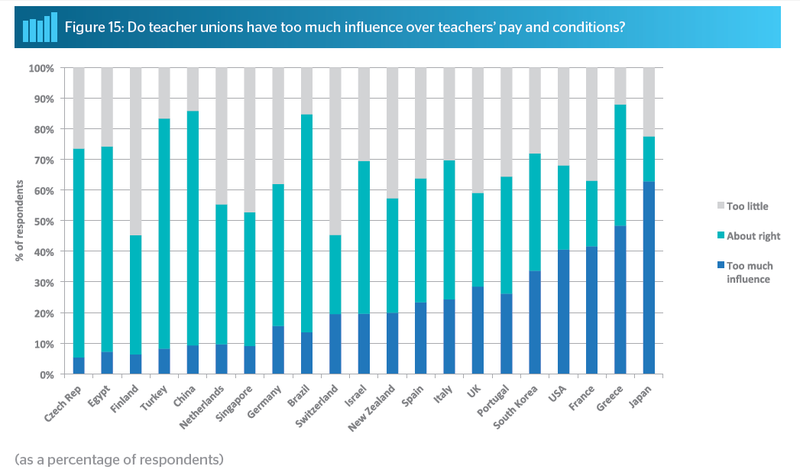 This seems to tally with teachers’ own feelings about unions: LKMco’s research on teaching unions (commissioned by edapt) showed that ‘Collective Bargaining on Pay and Conditions’ was the third most important reason why teachers’ joined unions. When asked to compare the status of teachers to 12 other jobs (Head teacher, Doctor, Nurse, Librarian, Local government manager, Social worker, Website designer, Policeman, Engineer, Lawyer, Accountant, Management consultant) people in the UK were most likely to say “nurse” or “social-worker”. This ranks them around half way up this hierarchy. The UK was the country in which Head Teachers were seen as having the highest status. 47% of people in the UK agreed or strongly agreed that pupils respected teachers, this places the UK just below average. S.Korea’s score is quite striking given its reputation as a high performing country. On average, people in the UK thought teachers should be paid 3% more than they actually are. On average they over-estimated the actual wage teachers are currently paid. 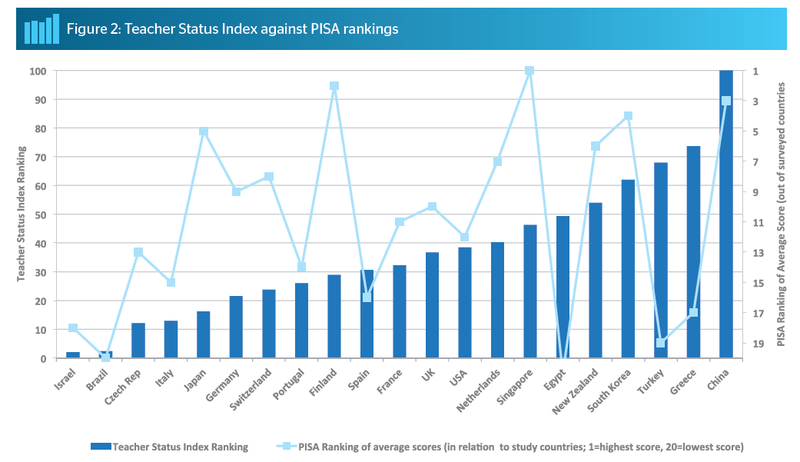 Countries that have good PISA scores are most systematically ranked as good by the public. This may show that people are ‘accurately’ judging the quality of their education system (as measured by PISA) or that they have accurately remembered their countries’ PISA results. Do We Really Want More Parent-Led Free Schools?